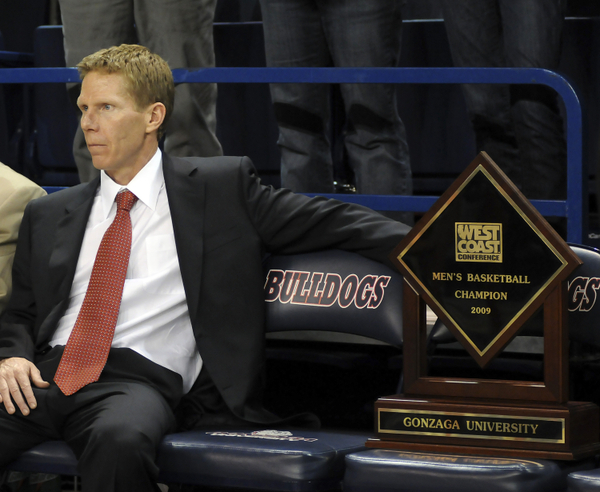 20 Questions: Why Can’t Gonzaga Make Another Serious Run in the NCAA Tournament? 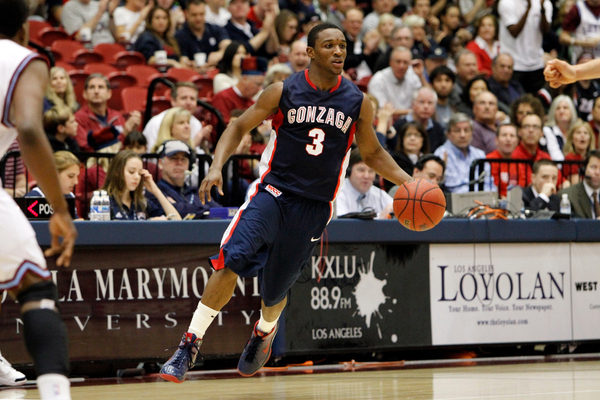 Question: Why Can’t Gonzaga Make Another Serious Run in the NCAA Tournament? It seems like a strange question to ask. Every year ESPN hypes up Gonzaga as a Cinderella team, but a strange thing happened between 1999 and 2011–the Bulldogs failed to advance past the Sweet Sixteen. While the school has had its share of stars in the intervening 12 seasons (Adam Morrison being the most notable) much of its NCAA Tournament reputation is built on the work of Casey Cavalry from the 1999 NCAA Tournament. It is a fact that lost is lost on many casual college basketball fans and college basketball analysts, who at best choose to ignore it to help build a compelling narrative. Much like Duke has been made out to be the symbol of all things right in college basketball by certain media outlets there has been a tendency by many in the media to paint Gonzaga as the perennial Cinderella that always makes a deep run in the NCAA Tournament. That may make for a nice story line and the video of Cavalry flying in to tip in the game-winner against Florida makes for a nice clip (as well as creating the name for the best Gonzaga blog out there), but recently they have been surpassed by Butler as the mid-major du jour. The question is what happened to Gonzaga and what can it do to get back to the Elite Eight and beyond? To start off, we should point out that Gonzaga has been far from a total failure during the Mark Few era, which also happens to coincide with the stretch where Gonzaga has been unable to get beyond the Sweet Sixteen, a fact that is probably not lost on Gonzaga fans. 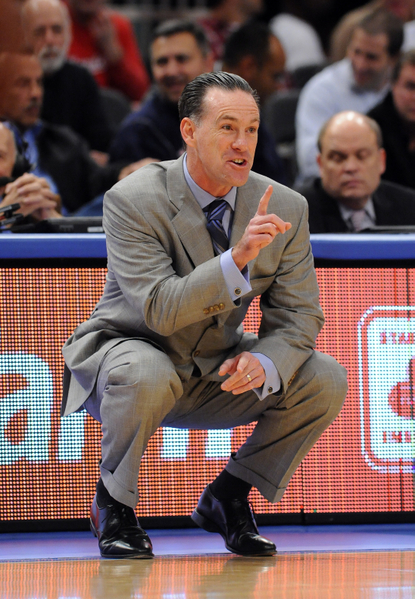 During his 12 seasons as head coach at Gonzaga, Few has compiled a 315-83 record (79.1%, which is 6th all-time in Division I and 2nd among active coaches trailing just Roy Williams) while winning the West Coast Conference regular season title 11 consecutive years and making the NCAA Tournament every season he has been a head coach. However, that success has not translated to the NCAA Tournament where after two consecutive trips to the Sweet Sixteen in his first two years as head coach Few has only been able to guide the Bulldogs out of the opening weekend two out of ten seasons including three years where they lost in the opening round. We’ve known for some time that former Gonzaga guard Demetri “Meech” Goodson was giving up basketball to return to his home state of Texas and pursue college football with the remainder of his amateur eligibility. We learned today through The Spokesman-Review (via Fox 26 Houston) that Goodson will end up at Baylor for his two seasons on the gridiron. Presuming that Bears head coach Art Briles is aware that he’s adding a tremendously athletic 6’0, 175-pounder with a ridiculous first step and quick hands to his roster, Goodson told the television station that he will be enrolled in the Waco school and ready to work out very soon. Just get my transcript from Gonzaga shipped over to Baylor. I shipped it out (Saturday). Once they get all that stuff done, I’ll be there. It’s a great feeling. I’m excited. A bit nervous because I haven’t played (football) in a while. Once I go and start hitting the weights and learning their system, I’ll be all right. I could probably go overseas and make some money. But professionally, football will be a better move for me just because of the number of basketball players who make it and the number of football players. That was basically why I did it. Considering that there isn’t much of an NBA market for undersized point guards who average five points per game and have trouble shooting the ball from distance (career 20% three-point shooter), this is a fairly enlightened move on Goodson’s part. With the transfer, not only does he give himself two seasons to fully re-adjust to playing football — the last time he suited up on the field was in 2006, during his sophomore year in high school — but he also joins a Baylor team coming off a 7-6 (4-4 Big 12) season where the depth chart shows only one returning starter at his favored cornerback position. An opportunity to prove himself against the light-em-up offenses of the conference would enable Goodson a pretty good opportunity to eventually become a future NFL defensive back. Incidentally, his older brother, Mike Goodson, a considerably bulkier player at 210 lbs., is currently a running back with the Carolina Panthers (see video of a TD last season here). The intriguing part to this transfer saga between sports is what, if any, effect this might have on Baylor basketball. The Bears are already settled in the point guard slot for the 2011-12 season with incumbent junior AJ Walton manning the spot and JuCo transfer Pierre Jackson coming in to provide relief. But what if something goes wrong with one of those two players prior to the 2012-13 season (which, coincidentally, is when Goodson would be eligible to play his fourth and final season of hoops)? Or, what if Goodson’s foray into football doesn’t go as well as planned (injury, rustiness, etc.)? Is Scott Drew really going to sit idly by and not accidentally “bump” into Goodson at the athletic training facilities or cafeteria when there’s a proven winner on the hardwood walking around his campus? Would he not want a seasoned veteran like Goodson in his locker room to provide backup minutes as an athletic defender to close out games? Drew has made major waves in his ability to recruit nationally at a school with virtually no basketball tradition, earning commitments from top players such as Perry Jones, III (Duncanville, TX), Deuce Bello (Greensboro, NC), and Quincy Miller (Winston-Salem, NC) in recent years. Are we really supposed to believe that he doesn’t have the power of persuasion needed to entice Goodson for a final run in the gym? Only time will tell, but it wouldn’t shock us in the least if we see Goodson suiting up for the Bears in both the primary fall and winter sports two seasons from now. This is one of the biggest Thursday nights we’ve had this year in terms of quality games with NCAA bids and conference titles on the line. All rankings from RTC and all times Eastern. Are Dixon and the Panthers #1? #6? Does It Matter, As Long As It's #4 Or Better? The Backyard Brawl (Part II) takes place in Pittsburgh tonight. The Panthers won the first meeting in Morgantown on February 7, a game they played without their star Ashton Gibbs. Gibbs returned to the lineup with a bang, scoring 26 points, including 6-9 from deep, in the team’s loss to St. John’s last Saturday. Gibbs will play a central role in a matchup between the Big East’s best three-point shooting team (Pitt) and the best three point defense (WVU). The Panthers are shooting 40% from deep in conference play and 38.4% overall while the Mountaineers allow 28.4% shooting overall and 29.1% in league games. 1. I had an opportunity to attend the consolation and championship games of the 2K Sports Classic last Friday and learned a great deal about the four teams participating- Pittsburgh, Texas, Illinois and Maryland. The Panthers were one of my preseason Final Four teams and did nothing to give me second thoughts on that prediction. 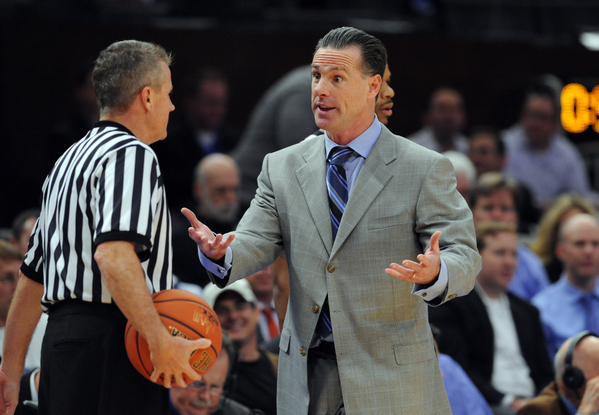 Ashton Gibbs is a true playmaker at the end of the shot clock, Jamie Dixon has an incredibly deep frontcourt and the Panthers play heady, smart, hard-nosed basketball for 40 minutes. It’s possible we overrated Illinois a bit coming into the year. They lack a bruiser down low that can post up on the block and demand the basketball. Mike Tisdale’s the same player he’s been his entire career at Illinois, a capable mid-range jump shooter that lacks any sort of physicality and is often mired in foul trouble because opposing power forwards constantly out-muscle him. Maryland looks like a middle-of-the-pack ACC team that should sneak into the NCAA Tournament because Gary Williams always receives max effort from his teams and Jordan Williams is a force in the post, although he needs to avoid silly fouls and demand the basketball more often. The team that needed to convince me they were a contender after last season’s disaster is Texas. The Longhorns are a top-20 team with a duo of physical, lockdown defenders on the perimeter in Dogus Balbay and Cory Joseph, an athletic low-post presence in Tristan Thompson and an explosive scorer in Jordan Hamilton. A shortened rotation and accepted roles has helped Rick Barnes develop improved chemistry, as well. 2. The story of the first two weeks of college basketball might just be Minnesota. The Big Ten was the best conference coming into the season with Michigan State and Ohio State shaping up to be Final Four frontrunners, Purdue and Illinois mainstays in the polls and Wisconsin as solid as ever. Minnesota was a team that nobody could quite get a handle on, especially considering it was impossible to predict just how much the additions of Trevor Mbakwe and Al Nolen would help Tubby Smith. After three statements wins in Puerto Rico over Western Kentucky, North Carolina and West Virginia, the Gophers appear to be yet another contender primed for a deep March run out of the absolutely loaded Big Ten. Al Nolen was superb in the championship game against West Virginia locking down the Mountaineer’s point guard duo of Joe Mazzulla and Darryl Bryant on defense and splitting the West Virginia defense with dribble penetration that either resulted in free throws (11-12 on the night) or open looks for sharpshooting teammate Blake Hoffarber. Where the Gophers have forged their identity, though, is inside with a plethora of size and length. Ralph Sampson, Colton Iverson, Mbakwe and big bodied Mo Walker provide Smith a frontline that can go toe-to-toe with any in the nation. Just wait till they get Devoe Joseph back. 3. The most crippling defeat for any team with NCAA Tournament aspirations could have come Monday afternoon at the Maui Invitational for Wichita State. The Shockers inability to contain Kemba Walker (29 second half points) cost them a chance to pick up a quality win over a Big East opponent and a shot at potential #1-seed Michigan State in the semifinals. Why is this so devastating? One, Wichita just blew their best chance for an RPI/SOS booster. The only other challenging non-conference game on the slate is a road trip to San Diego State, where it’s extremely unlikely the Shockers leave with a victory. Merely the addition of the Spartans on their schedule would improve Wichita’s power rating dramatically. Instead, it’s increasingly likely Gregg Marshall’s team will have to win the MVC Tournament. This task is very possible; after all, the Shockers are the prohibitive favorite, a senior-laden squad with talents like Toure Murry, David Kyles and J.T. Durley. Marshall’s goal in Maui was to pick up two quality wins for the resume in March. That chance has gone by the wayside. All of these games are from tournaments played on a neutral floor. Rankings as per the latest RTC Top 25. All times eastern. The best game of Maui’s first day features a matchup of teams with contrasting styles. Wichita State is a very deliberate, low scoring team that will sit back and play half court defense. Connecticut, without a dominant big man such as Emeka Okafor or Hasheem Thabeet, prefers to run with its guards and wings led by Kemba Walker. The junior point guard had a good offseason and is tearing it up so far. 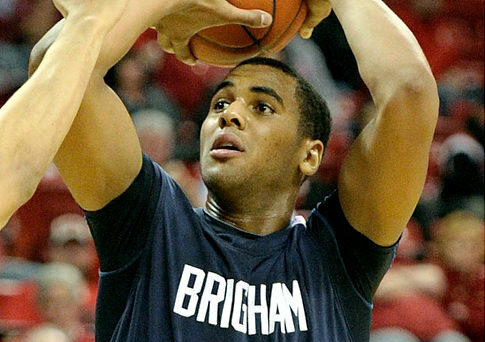 He had 42/8/3 in a game against Vermont last week, an 89-73 Husky win. Alex Oriakhi has been great for Jim Calhoun in the first two games of the season averaging 11/13 and 3.5 blocks, a Calhoun trademark. As a team, Connecticut pulled down an astounding 52 rebounds per contest in their first two games. Wichita State does a good job on the defensive glass but they will encounter a tough test against Connecticut. The Shockers are fairly efficient on offense despite their slow pace. One thing they have going for them is their three point shooting versus the Huskies’ defense. Wichita shoots it well while UConn ranks 288th in defending the three. To win, the Shockers need to take advantage of this behind 6’4 guards Toure’ Murry and Graham Hatch. Forward J.T. Durley can also step out and stroke it from three so Wichita clearly has the perimeter threats to make this a close game. The Shockers need a strong defensive effort on Walker as well as wing Roscoe Smith. They don’t create a lot of turnovers because of their pace so holding their own on the boards becomes paramount. If Connecticut wins the rebounding battle handily, it’ll be very difficult for Wichita State to win this game. This game is interesting because it’s Duke’s first test against a good team. Marquette has been vastly underrated by many in the crowded Big East but the Golden Eagles have a solid roster full of young talent and experienced players, always a good combination. Everybody knows about Duke and their stars Kyrie Irving, Nolan Smith and Kyle Singler so let’s shine a little light on Buzz Williams’ crew from the Brew City and see what they have to do to win. Marquette is led by senior swing Jimmy Butler, a candidate for first team all-Big East. Butler broke out last season and is the focal point of Williams’ offense this year. He is surrounded by dynamic guard Darius Johnson-Odom, promising freshman Vander Blue and senior Dwight Buycks. Marquette’s strength is in the backcourt and on the wing, as is Duke’s. If there’s one thing these two teams don’t do all that well it is defend the three, especially Marquette. Williams needs a great defensive effort from his guards if they hope to contain their explosive opponent. The Golden Eagles defend the paint well, ranking fairly high in defensive two point percentage. They must limit the interior players for Duke and force all the action on the guards where a strong effort can possibly contain them. Duke is even deeper off the bench with Seth Curry and Andre Dawkins, both deep threats. Duke is a heavy favorite in this game for good reason but Marquette is going to give them a run. We think Buzz can motivate his team enough and parlay that with their talent to be in this game deep into the second half. Marquette needs everything to go right in this game but that’s not as far-fetched as you may think. MU can run but they don’t want to get caught in a track meet with the Blue Devils where transition opportunities will favor Duke. To knock off #1, Marquette has to hold Duke around 40% shooting and get a huge game out of a Butler, Johnson-Odom and someone off the bench like Jae Crowder. We’re not picking Marquette to win the game but don’t be surprised if this one is closer than you may have originally thought.